SoCal Kratom is Not Offering any Kratom Products, so you have to check following for best kratom products. Update: Socal kratom vendor now stop taking orders for kratom, but other herbal products available. What Is This Substance Used For? A Southeast Asian tree known as Mitragyna Speciosa has leaves called kratom, which is crushed to make the substance used for different purposes like boosting energy and relieving anxiety. The plant is native to Indonesia, Thailand, and Malaysia. The herb is gaining popularity in the United States as well through the efforts of some online vendors. People are becoming aware of the psychoactive effects, which can be very useful for the treatment of addictions to heroin and morphine. Due to the confusion about whether the product is beneficial or harmful, it has not been approved to be used medically in the USA. The product that was introduced by the management of Rosefield was a Bali strain of kratom. It consists of alkaloids which are believed to have pharmacological effects that are similar to morphine and other opiates. The side effects of this herb are agitation, sleeplessness, aggression, depression, delusions, nervousness, hallucinations, nausea, tremors, constipation and vomiting and other symptoms of withdrawal. Kratom is recognized as a botanical substance which brings many risk factors along with it. Human health is not safe in case of its use, and the substance can be abused, as demonstrated by the Associate Commissioner of the FDA for the regulatory affairs, Melinda Plaisier. She reported that steps must be taken for the protection of the public. It is necessary to keep people away from the dangers of its products, and aggressive enforcement like this against unapproved substances will be seen in the future as well. An import alert was issued by the FDA which caused the agency to seize the kratom being imported without examining it. The action involved the seizure of over 500 cartons of kratom from Rosefield, which was involved in the distribution of the products of this herb on the instructions Whole Shamanic Herbs. Through its website, the substance was reported to cure, diagnose, prevent and treat disease. A complaint application was filed by FDA in the District Court for the Central District of California in which it was mentioned that this herb is not an approved drug and a drug that is misbranded under the Federal Food, Drug and Cosmetic Act. It is the responsibility of the FDA to protect the health of the public and provide them with a guarantee for the safety, security, and effectiveness of drugs, vaccines and herbal products that are for human consumption. Kratom In United States – Can You Purchase It Freely? 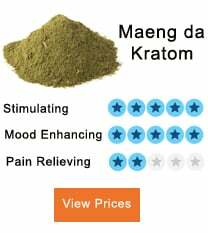 If you are a website for kratom, why have you published an article that seems to have so many unsubstantiated comments about kratom. Kratom is safe and legal. This is sheer greed and ignorance in trying to paint it in a bad light. Why are you helping with that? I’m looking for a blend that can help me with my anxiety, does anyone have any recommendations? 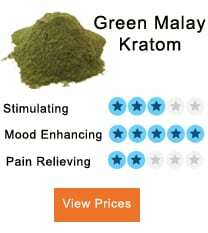 My ADHD is out of control, I wanted to find something less pharmaceutical to help me deal with my symptoms, so I did some reading about Kratom, and in particular, Super Green Malay. I am happy to say, that this has helped me manage my symptoms without the need to use my existing “big pharma” drugs. I can now focus on the tasks I need to do each day and get them done. I definitely recommend this product! As everyone is different, I recommend trying out a few samples of different strains and seeing what works best for you. Actually people are waking up to the FDA and the restraint of any substance by anyone as the federal gov is slowly but surely losing its ability to “lawfully enforce its SAFETY precautions” as thankfully the American people and the world are learning that the gov has never and will not ever give a damn about the health and safety of ANYONE. Do your research and you will find when communities stop reinforcing these ridiculous substance abuse issue’s and start providing help to those that actually need it, show impressive improvement along with the community. Go spread your propaganda somewhere else because your not wanted here, and when I say somewhere else I mean get off our beloved planet and leave our rights alone, the right to live freely and use herbs freely as we choose. 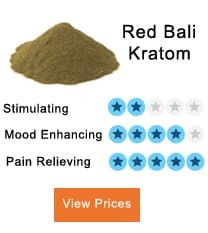 I’ve been experimenting with a few different strains to see how they work for me and for my migraine relief and have noticed that some strains of Kratom work better for me than others, but those same strains seems to work less well for other people. So try them out, find some coupons online and see what works for you. Great advice, thanks for the tip.